E'n la sua volontade è nostra pace. Durante degli Alighieri (c. 1 June 1265 – 13/14 September 1321), better known as Dante, was an Italian Florentine poet. 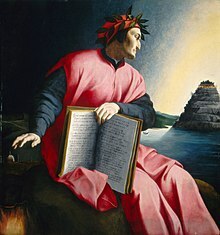 His greatest work, The Divine Comedy (Divina Commedia), is considered as one of the greatest literary statements produced in Europe in the medieval period, and is the basis of the modern Italian language. Here begins a new life. To her perfection all of beauty tends. And made his lordship so familiar. In quella parte del libro de la mia memoria... si trova una rubrica la quale dice: Incipit vita nova. Ecce deus fortior me, qui veniens dominabitur mihi. Behold a God more powerful than I who comes to rule over me. Chapter I (tr. Barbara Reynolds); of love. In his arms, my lady lay asleep, wrapped in a veil. She is the sum of nature's universe. than the reasoning mind without its reason. che lo 'ntelletto sovr'esse disvia. Beyond the range of human intellect. La moralitade è bellezza de la filosofia. Morality is the beauty of Philosophy. The subject of the whole work, then, taken in the literal sense only is "the state of souls after death" without qualification, for the whole progress of the work hinges on it and about it. Whereas if the work be taken allegorically, the subject is "man as by good or ill deserts, in the exercise of the freedom of his choice, he becomes liable to rewarding or punishing justice." Hiis visis, manifestum est quod duplex oportet esse subiectum circa quod currant alterni sensus. Et ideo videndum est de subiecto huius operis, prout ad litteram accipitur; deinde de subiecto, prout allegorice sententiatur. Est ergo subiectum totius operis, litteraliter tantum accepti, status animarum post mortem simpliciter sumptus. Nam de illo et circa illum totius operis versatur processus. Si vero accipiatur opus allegorice, subiectum est homo, prout merendo et demerendo per arbitrii libertatem iustitie premiandi et puniendi obnoxius est. When we understand this we see clearly that the subject round which the alternative senses play must be twofold. And we must therefore consider the subject of this work [the Divine Comedy] as literally understood, and then its subject as allegorically intended. The subject of the whole work, then, taken in the literal sense only is "the state of souls after death" without qualification, for the whole progress of the work hinges on it and about it. Whereas if the work be taken allegorically, the subject is "man as by good or ill deserts, in the exercise of the freedom of his choice, he becomes liable to rewarding or punishing justice." Letter to Can Grande (Epistle XIII, 23–25), as translated by Charles Singleton in his essay "Two Kinds of Allegory" published in Dante Studies 1 (Harvard University Press, 1954), p. 87. Genus vero philosophie, sub quo hic in toto et parte proceditur, est morale negotium, sive ethica; quia non ad speculandum, sed ad opus inventum est totum et pars. Now the kind of philosophy under which we proceed in the whole and in the part is moral philosophy or ethics; because the whole was undertaken not for speculation but for practice. Letter to Can Grande (Epistle XIII, 40), as translated by Charles Latham in A Translation of Dante's Eleven Letters (1891), Letter XI, §16, p. 199. John F. Kennedy misquoting Dante (24 June 1963). Dante placed those who "non furon ribelli né fur fedeli" [were neither for nor against God] in a special region near the mouth of Hell; the lowest part of Hell, a lake of ice, was for traitors. According to the John F. Kennedy Presidential Library & Museum President Kennedy got his facts wrong. Dante never made this statement. The closest to what President Kennedy meant is in the Inferno where the souls in the ante-room of hell, who "lived without disgrace and without praise," and the coward angels, who did not rebel but did not resist the cohorts of Lucifer, are condemned to continually chase a banner that is forever changing course while being stung by wasps and horseflies. See Canticle I (Inferno), Canto 3, vv 35-42 for the notion of neutrality and where JFK might have paraphrased from. And you, beloved children, whose lot it is to promote learning under the magisterium of the Church, continue as you are doing to love and tend the noble poet whom We do not hesitate to call the most eloquent singer of the Christian idea. Pope Benedict XV, In Praeclara Summorum (April 30, 1921). Dante does not come before us as a large catholic mind; rather as a narrow, and even sectarian mind: it is partly the fruit of his age and position, but partly too of his own nature. His greatness has, in all senses, concentred itself into fiery emphasis and depth. He is world-great not because he is world-wide, but because he is world-deep. Through all objects he pierces as it were down into the heart of Being. I know nothing so intense as Dante. Thomas Carlyle, "The Hero as Poet" in Heroes and Hero-Worship (1841). Geoffrey Chaucer, The Canterbury Tales (c. 1390), The Monkes Tale, lines 3650–3652. I wanted my illustrations for the Dante to be like the faint markings of moisture in a divine cheese. This explains their variegated aspect of butterflies' wings. Mysticism is cheese; Christ is cheese, better still, mountains of cheese! Salvador Dalí, Diary of a Genius (1965), p. 195. 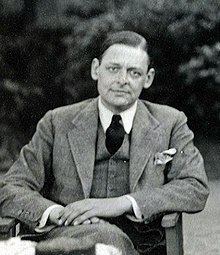 T. S. Eliot, "Dante" (1929). 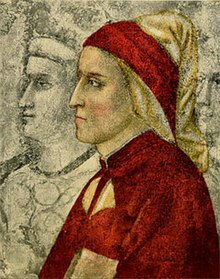 I would like to add my voice to those who consider Dante Alighieri an artist of the greatest universal esteem, who through his immortal works still has much to say and offer to those who desire to travel the way to true knowledge, to the authentic discovery of self, of the world, of life's profound and transcendent meaning. ... The Comedy can be read as a great itinerary, rather as a true pilgrimage, both personal and interior, as well as communal, ecclesial, social and historic. 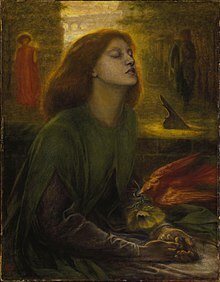 ... Dante is...a prophet of hope, a herald of humanity's possible redemption and liberation, of profound change in every man and woman, of all of humanity. Pope Francis, Message to the President of the Pontifical Council for Culture for the solemn celebration of the 750th anniversary of the birth of the supreme poet Dante Alighieri (4 May 2015). Dante was the first to sing of heaven and of hell, not as the dreams of mythological fiction, but as the objects of a real faith. He was the first who lanched from this promontory on which we stand, into the vast immensity of the universe, traversed the abyss amidst demons and infernal tortures, and mounting afterwards through angelic hosts and undiscovered worlds, gazed with stedfast eye upon the glories of the Highest... Dante was the Columbus who discovered this new world of poesy... Dante probably surpassed even Homer himself. Edmund Dorr Griffin, in Remains of the Rev. Edmund D. Griffin (1831), p. 335. I love Dante almost as much as the Bible. He is my spiritual food, the rest is ballast. James Joyce, as quoted in Richard Ellmann, James Joyce (1959), p. 226. Dante has not deigned to take his inspiration from any other. He has wished to be himself, himself alone; in a word, to create. He has occupied a vast space, and has filled it with the superiority of a sublime mind. He is diverse, strong, and gracious. He has imagination, warmth, and enthusiasm. He makes his reader tremble, shed tears, feel the thrill of honor in a way that is the height of art. Severe and menacing, he has terrible imprecations for crime, scourgings for vice, sorrow for misfortune. As a citizen, affected by the laws of the republic, he thunders against its oppressors, but he is always ready to excuse his native city. Florence is ever to him his sweet, beloved country, dear to his heart. I am envious for my dear France, that she has never produced a rival to Dante; that this Colossus has not had his equal among us. No, there is no reputation which can be compared to his. Napoleon I of France, "Napoleon: In His Own Words" (1916), p. 74. His very words are instinct with spirit; each is as a spark, a burning atom of inextinguishable thought; and many yet lie covered in the ashes of their birth, and pregnant with the lightning which has yet found no conductor. That great genius conceived, in his vast imagination, the mysteries of the invisible creation, and unveiled them to the eyes of the astonished world. Jean Charles Léonard de Sismondi, Historical view of the literature of the south of Europe, translated by Thomas Roscoe, Vol. I (London, 1823), p. 366. Sa réputation s'affermira toujours, parce qu'on ne le lit guère. II y a de lui une vingtaine de traits qu'on sait par cœur: cela suffit pour s'épargner la peine d'examiner le reste. His reputation will last because he is little read. Twenty pointed things in him are known by rote, which spare people the trouble of being acquainted with the remainder. Voltaire, Dictionnaire Philosophique, 'Dante' (1765), trans. William F. Fleming. Variant translation: He enjoys an immortal reputation because he is seldom read. Everyone knows by heart some twenty quotations from his writings, and that relieves them of the necessity of examining the remainder. This page was last edited on 5 February 2019, at 20:49.